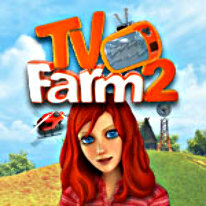 Become the hero of the hit reality show TV Farm 2! TV Farm 2 not only takes you into the world of reality television, but allows you to control it too! Become the hero of a smash hit reality TV show as you learn new skills in the challenging world of farming. Grow plants, sell products and upgrade your farm in this exciting Time Management game.